The title for the first half of this trade post was really easy. It was good to hear from one of the most creative bloggers out there, Gavin from Baseball Card Breakdown, a couple of weeks back. Gavin said he had a few cards to send my way, and asked if I had anything off of his want lists, including the 2011 Topps frankenset that he's working on. I sent him a few little things, and in return today I received quite the bubble mailer. Today is the vintage, or close to vintage. Gavin promised a '82 Topps Padres team set. 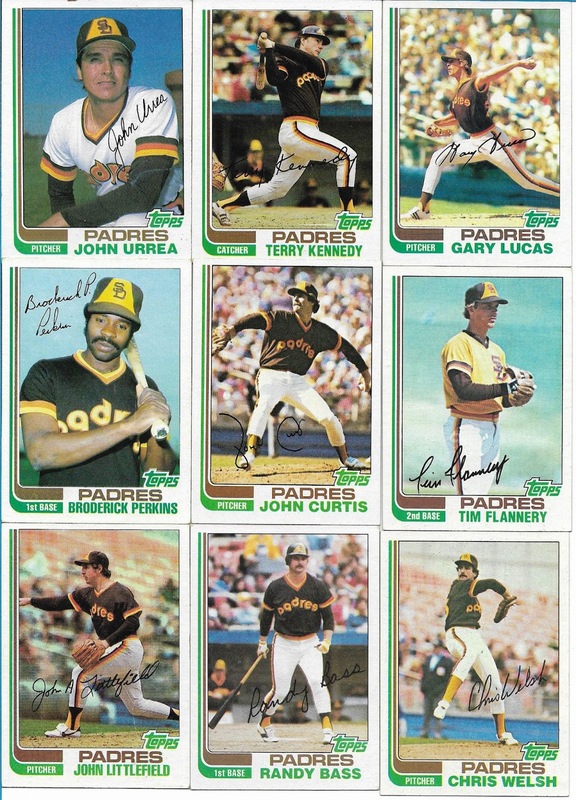 Seeing the 21 card team set reminded me of how much I prefer the older Padres uniforms. Honestly, I wish they would stop changing every few years and just go back to these. And yes, technically I know '82 wouldn't be considered vintage, but I needed something to fill out the post a little. The 21 cards just about doubled my total for the '82 set; I now have a whopping 44 cards toward the 792 card quest. 748 left isn't that daunting a task, is it? The '73 T want list is down to 4. Fred Scherman is the final card in the set, #660. Still need a checklist, the Bumbry/Dw. 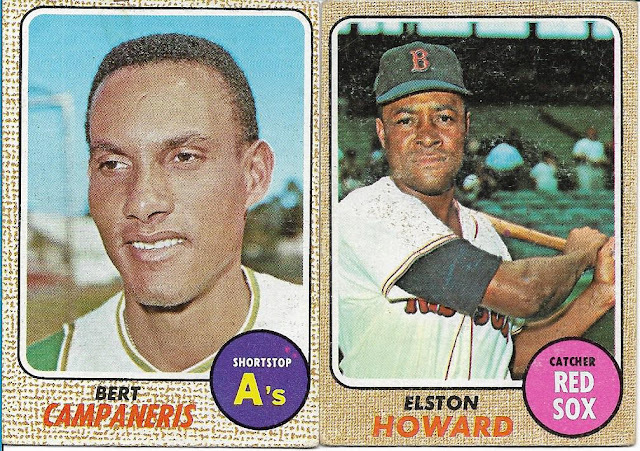 Evans RC, Schmidt and a rookie shortstops card. Maybe by the end of 2016 I'll pick these 4 up. Would you rather have this combo as your SS and C? Not bad. Or how about these 2? 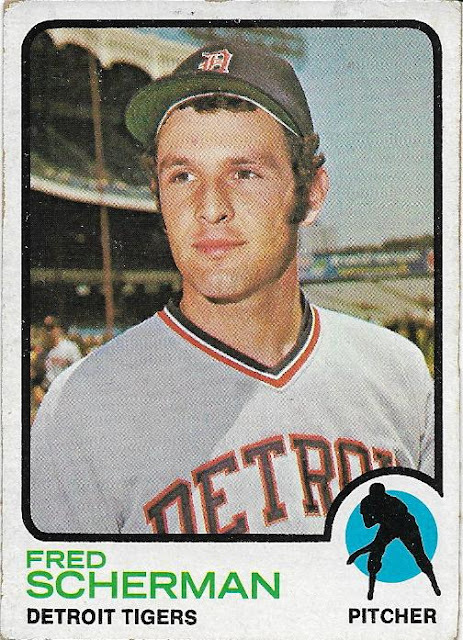 Wondering why Topps had to airbrush Rusty's helmet to pure black. He hadn't played anywhere else during his time in the majors but Houston before '68. Maybe somebody out there knows why this happened. My '68 pursuit is now over 200 cards complete, 205 to be exact. Not bad for a set that I never really intended to chase, and now I've been picking up cards so slowly that I might be 68 years old before I finish the set. Hey, it's not a sprint, right? Tomorrow, I'll show off the other half of the envelope, which has a couple of autos, a pair of homemade cards (one of which is a legend), and a boat load of Blue Jays. A trademark dispute between the Astros and Monsanto, the manufactures of AstroTurf over the use of the team name resulted in an injunction against it's use. Topps was required to follow the injunction. That's also why they are referred to as 'Houston' when the other teams got their nicknames used. That's the story I've heard many times although I haven't read anything official anywhere. It does make sense though. I agree with you re: the Padres uniforms. As for Rusty, I'd guess maybe he's got a Colt .45 helmet in the photo, and Topps wanted it to pass for Astros..? The green and brown looked great on the cards...more teams should wear those colors. I consider 1982 to be vintage, myself. I ususally draw the line at 1984, rather arbitrary but anything before I was born I call vintage. 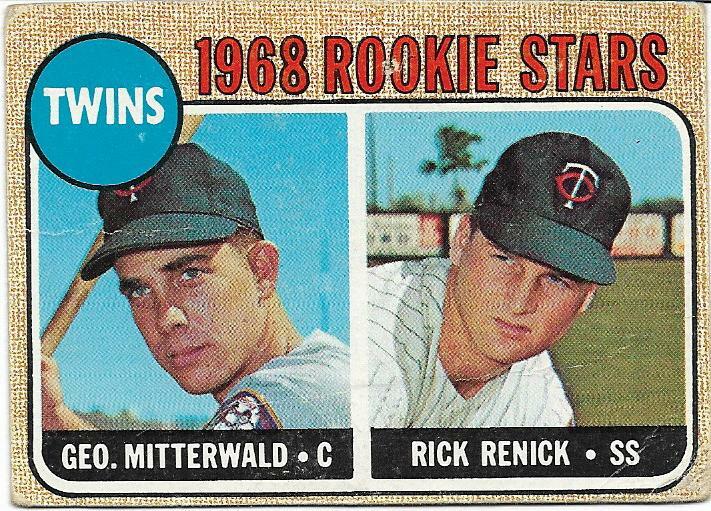 I've just started collecting 1982 (http://collecting1982topps.blogspot.com/) and I'm salivating at some of those - nice! 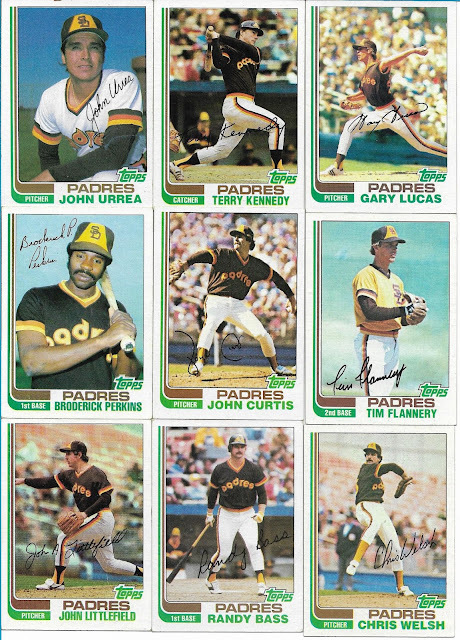 I've still got lots more Padres '82 Topps available if you'd like to trade. I was gifted tons of 80s Topps flagship Padres commons that I'm trying to thin out.